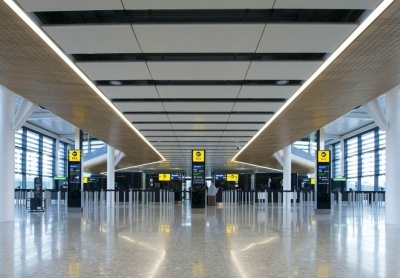 T2B is a satellite pier for the new Heathrow Terminal 2. The structure is rectilinear in form and accommodates 16 stands. A 520m long steel-framed superstructure sits above a two level basement. 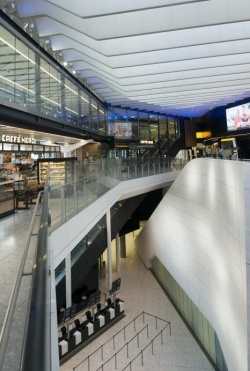 By elevating arriving passengers over departing, the building offers a sense of space and inverts the familiar ‘undercroft’ experience of the arrivals journey. The use of structural steel was essential to delivering the satellite pier to the client’s programme. Using steel plunge columns allowed excavation of the basement by top-down construction while the pier’s structural frame was erected above.